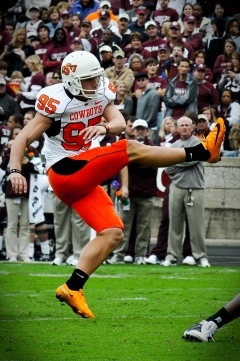 Matt Gay was the nation’s leading field goal kicker in the 2017 season. Connecting on 27 of his 31 attempts, the junior set a new Utah single-season record and finished the year with three more makes than any other kicker in the country. But his season was about much more than just that one number. The 27 makes included five field goals from at least 50 yards out, tied for the most in the nation. Those long distance kicks included not one but two connections from 56 yards out, tied for the longest field goals by regular FBS kickers that year. Against San Jose State, he connected from 56 and 50 in the same game, along with two more field goals and six PATs for an 18-point performance. His other 4-for-4 field goal game was even more important, as he provided nearly all the scoring against rival BYU in a 19-13 Holy War victory. In all, he made multiple field goals in nine games, racking up seven games with double-digit points. His 118 points are the third-most by a kicker in the 2017 season, and he’s the only kicker in the top fifteen with fewer than 40 extra point attempts. 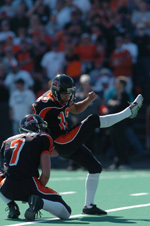 Gonzalez finished his four-year career as the all-time FBS leader in both made field goals and points by a kicker. In 2016, his 23-for-24 season led the nation in both number and accuracy of field goals. Those kicks came from an average of 40.9 yards away, hitting a national-best 13 from at least 40 yards and a remarkable 7-for-8 from over 50. That mark, the second-most ever from long distance in an FBS season, including the longest field goal of the year, a 59 yarder that was also the kick to give him the all-time record for career points by a kicker. That game against Colorado stands as one of the most impressive ever, as all three of his kicks came from beyond 50 yards, tying the FBS mark for most long distance kicks in one game. Only three other kickers in 2016 have as many 50-yard field goals all season as he hit in that one game. Ka’imi Fairbairn has proven to be one of the top football players in the illustrious history of UCLA. On November 13, 2015 the senior place-kicker made 4 field goals against Washington State, which not only set a career record for most points scored at UCLA, but also represented the most career points scored in conference history. 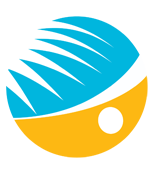 Fairbairn’s 410 career points is 20 more than the previous career scoring leader for UCLA and the Pacific Coast Conference, which was held by UCLA kicker, John Lee since 1985 and was deemed untouchable. During the 2015 season, Fairbairn made 20 out of his 23 field goal attempts and was perfect on his 44 point after touchdown kicks. Fairbairn’s 104 points for 2015 are top among the Bruins and ranks third in the Pac-12 conference. Craddock was a star on the first Terrapins team to play in the Big 10 Conference. The junior kicker ended the regular season with a nearly perfect stat sheet, connecting on 18 field goals in 19 attempts and was 41 for 41 on PATs. A total of 9 of Craddock’s 18 field goals were from 40 yards or beyond. His 95 total points led his team in scoring. 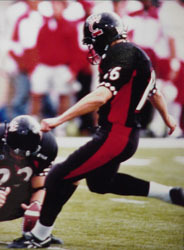 Craddock’s longest field goal of the year connected from 57 yards against Ohio St. Brad was recruited by Maryland while he was playing soccer and Australian Rules Football at Tabor Christian College in Adelaide Australia. Aguayo proved more than capable of carrying on the lineage of great kickers at Florida State. During his freshman year Aguayo made the first 70 kicks in his career, setting the Seminoles’ all-time record for consecutive makes. While his only missed field goal of the year broke that streak, he had made all 84 of his extra point attempts, setting the FBS record for most consecutive PATs in one season. Combined with his 18 field goals, that gave him 138 points on the season, the most by any kicker in the nation and the third-most by any player at any position. Santos, converted every field goal he attempted in the 2012-13 season, going a perfect 21-for-21. That makes him just the second kicker in FBS history to stay perfect throughout a season in which he attempted 20 or more field goals, joining 1996 Groza winner Marc Primanti. Twelve of those kicks came from 40 or more yards, the most in the nation, including scores from 57 and 54 yards out. 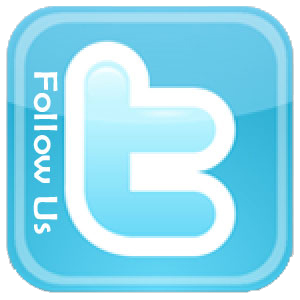 The 57 yard kick is the longest in Tulane history. Santos was 26-for-27 on PATs, with a blocked kick in the season opener, the only blemish on an otherwise perfect season. Bullock, In every game of the 2011 season, had connected with at least one field goal, including multiple connections in seven games. Bullock has had a record-breaking season. He has become Texas A&M’s all-time leading scorer with 350 points, surpassing the old mark of 325. Through 12 games, he connected on 25 of 29 field goals and 52 of 54 extra point attempts. 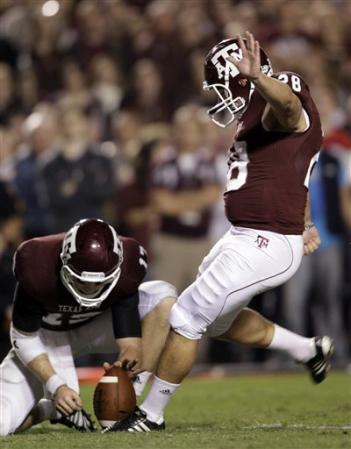 In his stellar senior season, Bullock set a new Texas A&M single season record with 25 field goals made surpassing Scott Slater’s 1986 record of 21. The Klein, Texas native finished one point shy of Joel Hunt’s 1927 school record of 128 field goals made in one season. Bailey, Put the wraps on a standout career that saw him enter the program as a walk-on and leave OSU as the school’s all-time leading scorer (347 career points with at least two games remaining in his career). 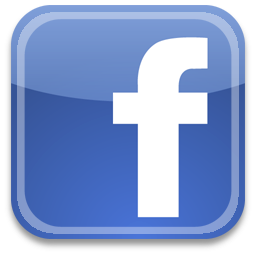 The previous all-time leading scorer was Barry Sanders. Bailey also set a school record with 22 field goals in the 2010 season through the first 11 games. He has handled placekicking duties since midway through the 2007 season and was also responsible for kickoff duties prior to 2009. Bailey set a school record by hitting his first 182 extra-point attempts before having a kick blocked at Texas. He has hit more extra points than any player in OSU history. Forbath, a junior from Pacific Palisades, California, enjoyed a successful season making 26 of his 29 field goal attempts which was second in the nation and was a perfect 23 of 23 from inside fifty yards. He also connected on 3 of 6 attempts of fifty yards or farther and kicked four field goals in a game twice this season. His 283 career points rank fifth all-time on the Bruins scoring list, while his 9 field goals from 50 yards or farther are a UCLA record. Gano, a senior from Pensacola, Florida, was slated to become the first kicker in Bobby Bowden’s 33 years at Florida State to handle field goals, kick-offs and punts until two weeks before the start of the Seminoles' season when he tore the meniscus in his right knee. After surgery and rehab, Gano was back on the field after missing just two games. He lined up for the first field goal attempt of his collegiate career from 52 yards, and missed that kick. It would be 55 days before he missed another field goal. Graham went on to make an FSU record 18 consecutive field goals, including five straight attempts from 50 yards or more. He is the only kicker in school history to convert over 90% of his field goals in a season. Weber, who set a Sun Devil record by successfully kicking the first 17 of his field goals, kicked 22 of his 23 tries during the season. His season long came against UCLA when he connected on a 53 yarder in the Sun Devils 24-20 victory. He has been a major contributor to the Sun Devils 5-1 record in the PAC 10 with two games in which he was a perfect 3 for 3 and he was 4 for 4 in ASU’s defeat of Stanford. Carmody kicked the football extremely accurately during the 2006 season. On three separate occasions this year, Carmody was a perfect 3-for-3 in field goals, helping his team win all three games. He made 21 of 25 field goals and was successful on all of his 60 PAT attempts. The best highlight of the seasons may have been Louisville's first appearance in a BCS bowl. Carmody helped lead Louisville to its first FedEx Orange Bowl victory as the Cardinals defeated Wake Forest 24-13. Serna was an impressive 23 of 28 in field goals for the season. That combined with his perfect 32 of 32 in extra point attempts made him the NCAA Div-1A kicking leader in points with 101 on the season. Highlights of Serna’s season included leading Oregon State to an 18-10 victory over Washington by converting on six field goals, in windy and rainy conditions. Serna also kicked a game winning field goal with 1:03 remaining the in the game to defeat Boise State, 30-27. By seasons end Serna was the NCAA active career leader in field goal percentage at 83.3. Nugent converted 20 of 23 field goal attempts during the 2004 season (one was blocked) and led the nation in 50-yard field goals with five. In the win over Marshall, his 55-yarder as time ran out provided OSU with a 24-21 win. In a 22-14 victory at North Carolina State, he tied a school record with five field goals. He was also a perfect 27-of-27 in the point after touchdown (PAT) department and had 34 touchbacks on 55 kickoffs. 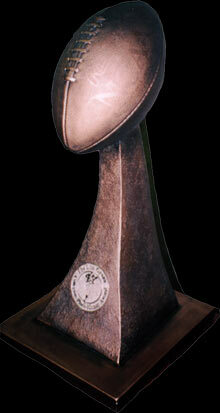 The Lou Groza Award is the 30th major individual award won by an Ohio State player. Nichols had a tremendous 2003 season, as he led the Rebels with 124 points to set a new Ole Miss season scoring record, bettering the previous mark of 102 by RB Deuce McAllister (1997-2000) in 2000. Jonathan also led the SEC and ranked ninth nationally in scoring, averaging 9.5 points per game and led the SEC in field goal percentage (86.2), having made 25-of-29 attempts. He was 3-of-4 on field goals from 50 yards or more to become the first kicker in school history to hit three field goals of 50 yards or more in a season. Ranked second in the SEC and fourth in the nation in field goals made per game (1.92). 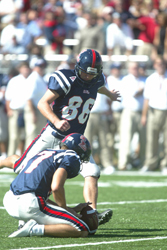 His 25 field goals also set a new Ole Miss season record. 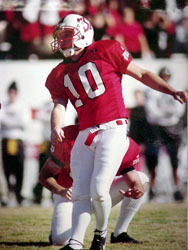 Nate Kaeding began the 2002 season by making 19 field goals in a row, and finished off his Lou Groza Award-winning campaign by making 21 field goals on 24 attempts. Kaeding set a new Iowa record by converting on 57 extra points, besting the old mark by six, and his 120 total points is the most ever in a single season in the extensive history of the Big Ten Conference for a kicker. 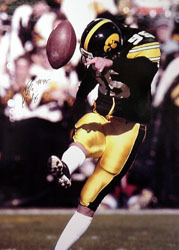 The model of consistency, Kaeding made two or more field goals in seven of the Hawkeye’s 13 games. He also put on display his ability to connect on kicks from long-range - Kaeding made eight field goals from at least 40 yards away, three of which were from more than 50 yards out. After being a semifinalist his freshman and sophomore seasons, Seth Marler finally broke through as a junior and won the Lou Groza Award. 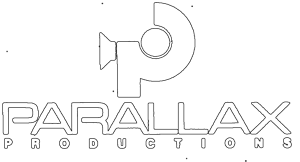 Marler made 15 of the 16 field goal attempts he made (the only miss was blocked) and connected on 39 of 40 extra points. He went three for three on kicks longer than 50 yards, including a 53-yarder against East Carolina that was the second-longest field goal in Green Wave history. Marler’s field goal percentage of 93.8% shattered the previous school mark by more than 10 percent. 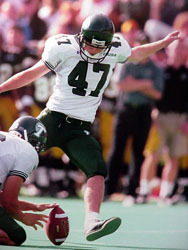 Marler finished his career at Tulane in 2002 as the most prolific kicker ever to wear a Green Wave jersey, making 66 field goals during his four years in New Orleans. Jonathan Ruffin capped a remarkable sophomore season at the University of Cincinnati by winning the 2000 Lou Groza Award. Ruffin led the nation with 26 field goals on 29 attempts, the sixth-highest single-season total in NCAA history. He set a school record by making at least one field goal in every game and he connected on four field goals in a single game twice, against Tulane and UAB. At the completion of his college career, Ruffin's name was all over the Bearcats' record book. He currently is first in school history in virtually every kicking and scoring category, including ranking as Cincinnati's all-time leader in field goals made, with 62, and scoring, with 315 points. Sebastian Janikowski became the first two-time winner of the Lou Groza Award in 1999. 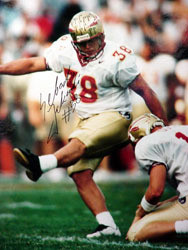 Janikowski was successful on 23 of 30 field goal attempts and was perfect on 47 extra points tries, leading his Florida State Seminoles to the National Championship. He booted five field goals in a game against North Carolina State and hit the game-winner against Clemson in a 17-14 victory. After the season, Janikowski decided to forego his senior year of eligibility and entered the NFL Draft, where the Oakland Raiders took him with the 17th pick of the first round of the 2000 Draft. He ended his career in Tallahassee as the third-leading scorer in FSU history with 324 points. Martin Gramatica capped a phenomenal 1997 season that saw him make 19 of 20 field goal attempts by winning the Lou Groza Award. 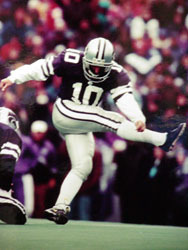 Gramatica set several Kansas State records that year, including most field goals in a season, and became the school’s all-time leading scorer with 214 points. He also became the only kicker in K-State history to make two 50-yard field goals in a single game; one from 55 yards tied the Big 12 record for longest field goal. Gramatica was a finalist for the Groza Award again in 1998, but lost to Sebastian Janikowski. After his senior year, the Tampa Bay Buccaneers drafted Gramatica in the third round of the NFL Draft. In the 1996 North Carolina State Media Guide, Marc Primanti was quoted as saying, “My job is to make every kick, and I want to do just that.” Primanti did exactly that, making all 20 field goals and 24 extra points that he attempted. This resulted in Primanti being a rather easy choice to receive the Lou Groza Award. Primanti made nine field goals longer than 40 yards, including a 48-yarder against Alabama that was a season-long. He also set an ACC record by making 27 consecutive field goals, stretching back into 1995. After walking onto the Wolfpack team and not playing a down during his first three years in the program, he more than made up for lost time. 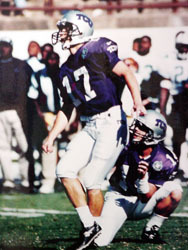 Michael Reeder became the first sophomore to win the Lou Groza Award after a 1995 season that saw him kick 23 field goals, a Texas Christian record, as well as 20 extra points. Reeder further entrenched himself in the long annuals of TCU football by making a school record 13 consecutive field goals. He did not miss a field goal inside of 39 yards, and was often called the Horned Frogs’ security blanket. For his efforts, Reeder was named a consensus All-American. Reflecting on his magical 1995 season, Reeder said, "It means that for at least one year, I was the best college kicker in the country. The countless hours of practice paid off." 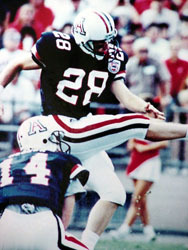 Steve McLaughlin finished his four-year career at the University of Arizona by finally winning the 1994 Lou Groza Award. The record-setting Wildcat finished the year making 23 field goals and earned All-American honors. McLaughlin displayed his accuracy by making all 26 extra points that he attempted. He also liked to showcase his explosiveness, as he made field goals from 53 and 54 yards away. McLaughlin tied a school record by kicking at least three field goals in four games. McLaughlin finished his career in Tucson by placing third on the school’s all-time scoring chart with 278 points. The St. Louis Rams drafted him in the third round of the 1995 NFL Draft. Judd Davis went from a non-scholarship, walk-on player to the leading scorer in Florida history. 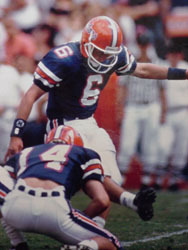 When he won the Lou Groza Award in 1993, Davis was successful on 15 of 19 field goal attempts and helped to lead the Gators to an SEC Championship and a victory in the Sugar Bowl. That year, Davis also made all but two of 53 extra points. He became the first kicker in Florida history to be named an All-American. During his senior year of 1994, Davis benefited from Florida’s Fun-and-Gun offense by twice making 10 extra points in a single game. Davis finished his career up by winning three SEC titles and setting a school record with 81 straight extra points made. Joe Allison made college football history in 1992 when he won the inaugural Lou Groza Award. The award capped an incredible year in which Allison became the first player in Memphis history to be named a first-team All-American by the Associated Press. Allison made 23 of 25 field goals that year to lead the NCAA in field goals made and field goal percentage, 92.0. He also connected on all 32 extra points that he attempted. This was the first national award ever won by a Tiger player. 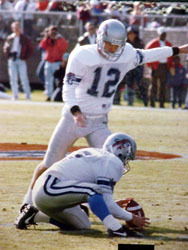 Allison still holds many school records; including kicking 81 consecutive PATs and hitting the most field goals over 50 yards.